Last week, Apple and Microsoft had dueling product launch events. And in the tech version of this “Who wore it better?” contest, the winner seems to be: Microsoft. That’s right. At least in the microcosm of last week, Microsoft has made Apple look like the square, after lifting the veil on a 28-inch touchscreen all-in-one desktop called the Surface Studio that immediately had tech enthusiasts drooling. Over a desktop. One could argue that this is an apples-to-oranges comparison. Microsoft, while on the rise again, still benefits from lower expectations than Apple. Introducing a new product, such as the Studio, is almost always going to be more exciting than upgrading an old line. But there is a common thread here, which we can use to analyze how these companies are thinking about the future – even more specifically, the future of touch and computing. Touch itself, as a technology, isn’t new. But Microsoft did a good job of framing its incorporation of touch with the Studio as expansive, liberating, and a universal way to unlock potential. Who doesn’t want to think that they have a symphony, novel, or artistic masterpiece inside them, just waiting to be unlocked by the right new tools? Apple, on the other, seems to have uncharacteristically flubbed its audience pitch. 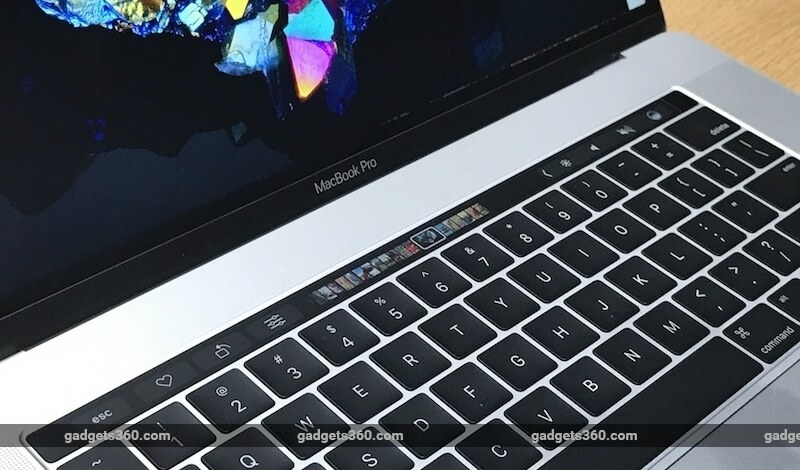 Speaking to analysts after its event, it seemed that “current MacBook Pro owners looking to upgrade” was the main audience Apple was going for. That’s practical – Apple laptops sell well. It’s not inspiring, though, is it? What makes this even more odd is that Apple is arguably the company that, arguably, did something really new for their company, at least – the Touch Bar shows off something we haven’t seen from Apple before. The Surface Studio looks gorgeous, but Microsoft’s essentially made an enormous version of its Surface tablet. It’s a very stylish and powerful one, but that’s basically what it is. Given a couple of days, and a truly dazzling Apple event, that probably could have become the storyline for the Studio. But try to explain what exactly Apple did, and it’s surprisingly hard. They put a miniature iPhone screen at the top of the keyboard, that you could probably ignore if you wanted? That’s a too-harsh assessment of the Touch Bar from someone who’s only played around with it for less than a half-hour altogether. But the Touch Bar certainly lacks a clarity of purpose that Microsoft managed to nail with its products – and managed to nail by not-so-subtly going after Apple’s traditional market of creatives. Should it be all red lights and klaxons in Cupertino? Not necessarily. But there is a sense of longing for something more from Apple. Apple has a lot to prove, and it’s not proving it quite well enough. I’ve heard more “Well, I am a little tempted by the [insert competing product here]” from Apple fans this year than I’ve heard in a long time. Temptation isn’t enough to uproot a customer, particularly when you’ve done as good a job of keeping users in your ecosystem as Apple has. Apple will still make money, since Apple fans have proven in the past that they’re willing to pay a premium for its products, said Linn Huang, of the analysis firm IDC. “Apple is in the position to say, with something new, that it can charge what it wants,” he said. But that’s no way to retain happy customers, particularly for a firm that prides itself in manufacturing delight. Yet it’s somehow Microsoft – out of desperation, inspiration or a combination of both – that has managed to make products that are turning heads. Apple should not panic. But it should at least take note.